Juventus working to sign Arsenal midfielder? Italian giants Juventus are reportedly making efforts to pursue the services of Arsenal midfielder Aaron Ramsey, whose contract expires at the end of the season. Serie A giants Juventus are reportedly considering a January move for Tottenham Hotspur midfielder Mousa Dembele. Germany international Sami Khedira has hinted that he could fancy a fresh challenge in the Premier League in the future. The World Cup winner has previously been associated with the likes of Arsenal, Manchester United and Chelsea. Serie A holders Juventus have reportedly begun contract talks with Liverpool midfielder Emre Can. The Germany international is free to speak to foreign clubs with his existing Reds deal due to expire in the summer. Serie A giants Juventus are prepared to discuss a pre-contract agreement with Liverpool's Emre Can when the transfer window reopens in the New Year. Matuidi has completed his much-anticipated move to Italian champions Juventus after undergoing a medical last night and penning a three-year contract. In a shocking turn of events, Italian champions and Champions League finalist Juventus have turned their attention to Arsenal's much maligned Jack Wilshere. 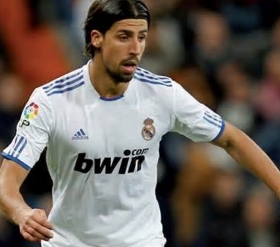 Juventus midfielder Sami Khedira is open to the idea of joining the MLS but only during the latter stages of his career. Arsenal have expressed interest in securing the signature of Juventus midfielder Mario Lemina. The 22-year-old joined the Old Lady on a temporary basis from Marseille last summer before the move was made permanent in April. Serie A giants Juventus are ready to reignite their interest in German midfielder Ilkay Gundogan, Tuttosport reveals.